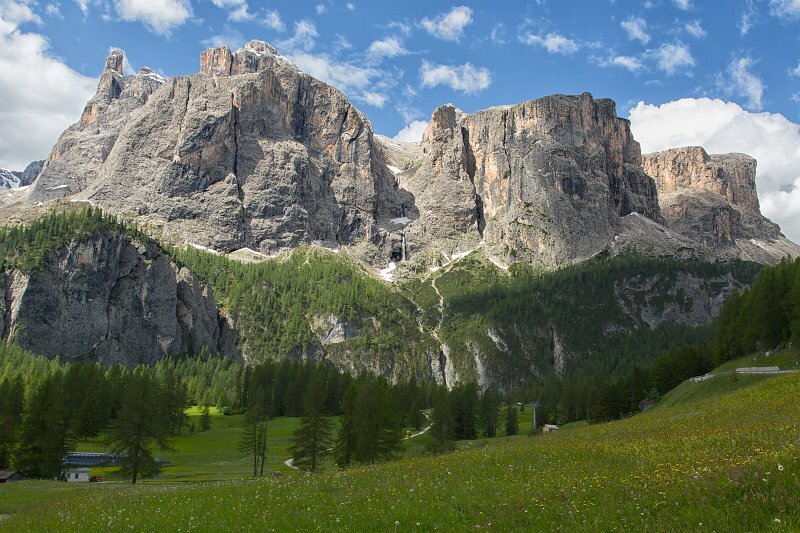 The Sella is a plateau shaped massif in the Dolomites mountains of northern Italy. The Sella lies north of the Marmolada and to the east of the Langkofel. The highest peak is Piz Boè at 3,151 m (10,338 ft) above sea level. Other peaks in the massif are the Cima Pisciadù 2,985 m (9,793 ft), the Boèseekofel 2,910 m (9,550 ft), the four Sellatürme 2,696 m (8,845 ft) and Sass Pordoi 2,952 m (9,685 ft). It can be driven around by car crossing the Campolongo Pass, Pordoi Pass, Sella Pass, and Gardena Pass.